In no terms it was a perfect match although the Pundit claimed that as per his Kundali calculations both will make a good pair. Purvi was eldest among her siblings and was very sweet and soft spoken. Nitin in contrast was the youngest in the family and very outspoken and extravagant. He was like the one who updates himself every time with the advancing trends. Purvi was Nitin mother's choice and she insisted him for marriage after lots of persuasion and emotional melodrama. Nitin loved his mother and agreed for the marriage but with conditions that Purvi has to change her life style after marriage. Even Purvi was against the marriage, she knew that the marriage will abruptly end her music practice. Although she humbly put forward her views on the marriage but her father with his counter logics made her convinced for the marriage. He said that she is lucky get such a proposal from such a family, who are well establish in business and have name in the city. He also assured her that she even can continue her music after marriage. 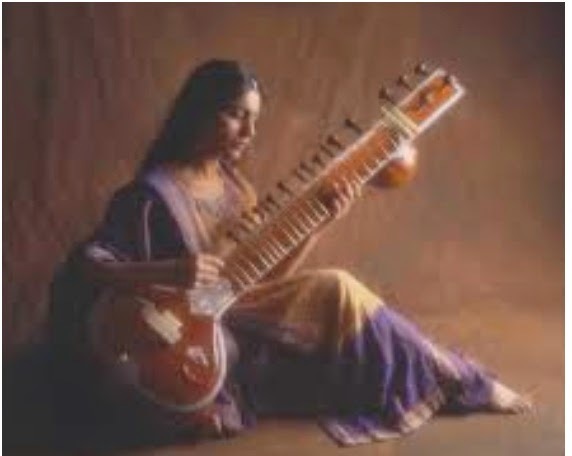 Purvi loved playing sitar although no one in her family shared simlar passion for music. Her inspiration was her mother's maternal uncle, Pt. Shuvankar, who was a renowned sitar player. It was he who discovered her interest in music during one of her visit to his house when she was a kid. She was so mesmerised by the sound of sitar, that she cried like anything and even denied to return home without it. She was appeased only after the old man assured her that in a week he will buy a sitar for her. He kept his words and bought a sitar for Purvi. Till today it the prized treasure for her. Pt. Suvankar became her Guru. Purvi was equally good at studies and completed her post graduation in English from the university. Nitin, an engineering graduate worked in a MNC in Bangalore. He was considered the coolest person in his team. As an outspoken person he had the ability to lead people and achieved fast success in his professional life. To him talent is not a talent unless it is converted into money. His life was filled with latest trend and gadgets. After marriage, Purvi came along with Nitin to Bangalore. It was altogether a different city from her modest home town. The lifestyle was very faster. Nitin used to wake up early and rush for his work and return late in the evening in weekdays. In weekends he would sleep till noon and she would rarely get a good time to interact with him. Nitin never consider Purvi as his parallel. He knew she can never understand his ways. Once he had taken to her to movies and that to a Hollywood action movies which left her dizzy for two days. Next time when he asked her, she humbly denied. "Ha ! How could a small town girl know about 'Max Payne' " commented Nitin before leaving alone for the movies. Purvi felt very bad about it. She thought she will give him a silent treatment but it no way affected Nitin, a stubborn fellow he was. Next day Purvi asked, " What about your promise, you made when we left for Banglore?" "What promise? I have never promised anything to you?" Replied Nitin as he was leaving for office. "You told that you will buy me a sitar in Bangalore. As it was embarrassing for you to carry the instrument all the way here"
"Yes, I told. But it doesn't mean that I will buy it just now"
"It has been three months.."
After five continuous rings. Purvi lifted, It was 1st time Nitin called from office. "Sorry for what I have said"
"I will buy you a sitar"
In the evening when Nitin came back, he smiled at Purvi. But Purvi did not smiled in return. "Hey! hope we have made peace with each other, stop giving that silent treatment. I have told sorry, haven't I?" "No I am not asking you to tell sorry; I actually I felt bad for denying you to accompany you to the movie. Actually I was not feeling well"
"You could have told me that. I would have cancelled the tickets"
Any ways we are now crossed to each other. Now one more request, our marketing head, Mr. Dinesh is hosting a party in his house. He has invited both of us. will you come with me. "Yes" Said Purvi with a smile. This was the very 1st time they had such a nice talk, thanks to the morning's quarrel they had. Sometimes quarrels are also good. Nitin never knew his wife was so beautiful. In the party, he could see staring eyes on Purvi. "Let me introduce her to my wife"
As Mr. Dinesh escorted Purvi to his wife, Nitin watched her as the she was taken to the table where Mrs. Dinesh was chatting with other women in the party. "What! ..... feeling jealous ?" Said Mita, a fellow employee. "Someone, took your beautiful wife"
Purvi looked back. She saw Nitin was chatting with another woman who was very modernly dressed. "She is Mrs. Purvi, the beautiful wife our young talented Nitin" , Mr Dinesh introduced Purvi to his wife, Nirupama & other women at the table. Mrs. Nirupama was very nice women, she made Purvi to feel very comfortable. "So how do you like Bangalore?" "So what do you do, I mean what all you like to do?" "I like music a lot, I played Sitar before marriage"
"From whom did you learn Sitar?" "What from the great sitar Maestro -Pt Suvankar Shastri?" "I am so privileged. I am talking to the direct student of Pt. Suvankar Shastri"
"Actually, I am also play sitar but very juvenile at it"
"Even I am also a Lerner"
"Hey all" Mrs. Nirupama raised her voice "Listen to me - We have a great musician here among us"
"Nirupama Madam, what are you doing?" shyly Purvi resisted. "But I don't have a sitar." Promptly a stage was made. As sitar & an electronic Tanpura placed on it. Nitin was completely blank, he just kept on watching. Purvi went up to the stage and sat in crossed leg position and took sitar in her lap. She turned on the Tanpura. A repetitive melody of Indian classical music filled the funky atmosphere of the party. For some in the party it was "come on!!" kind of a situation. Even Nitin felt so. Its a party after all not a meditation forum. As she tuned the strings on the instrument, Mrs. Nirupama watched with eagerness. Except her all were skeptical. When she was done with the tuning, she plucked rapid tarana in Hamsdwhani Raaga. It was the Turning Moment. "Hello, every one. This is sitar. Many must not be knowing what it is. It is a classical Indian instrument evolved from the Rudra Vina, as found in the images of Goddess Saraswati. It is this instrument that had once created a wave in western pop culture and its forerunner Mr. George Harrision. He was so mesmerised by the sound of the instrument that he came india secretly to learn it from Pt. Ravi Sankar. Even As a child I was mesmerised to the sound of it. and It was my Guru who had gifted me a sitar when I was only 7 years old- since then it was as if my flesh and blood to me. I will play a tune in Hamsadwhani Raaga- Hope all of you like it"
It was 30mins long performance by Purvi. When she finished there was pin drop silence in the party. It was Nitin who initiated the clapping and the clapping went on for five continuous minutes. He never felt so much proud, even not on the day when he was awarded the best employee in the company. Next day Nitin bought a Sitar for Purvi and a Guitar for himself. "This is for you and the guitar is for me, will you help me learn it?" "Yes, I will" replied Purvi as she hugged Nitin who was holding the guitar in one hand. It was the most happiest moment so far in her life. She knew there are many more such moments will be comming in future as strings of both of their life are already been tuned to a common frequency.